While serving our country as a Paramedic/LVN in the US Air Force, I injured my back. The injury was severe enough that I thought I would never be able to play basketball or get out of a chair without groaning again. So if you’re suffering from debilitating back pain or other injury, trust me when I say I know how you’re feeling because I’ve felt the exact same way. I was fortunate that my story didn’t end there. Instead, I met a man that knew exactly what to do to help me. He was a Physical Therapist and Rolf Structural Integrator. I’m sure a lot of you are saying, “What the holy hell is a Structural Integrator and what’s a Rolf?” It’s a fancy way to say he knew exactly what to do to help me, and I’d be lying if I said I wasn’t a little shocked when he got rid of my pain. I HAD to study with him. I was lucky that he agreed to teach me everything he knew and guided me into the right education courses to get the rest. I have no problem saying I have invaluable expertise, education, experience and confidence in this field. Not to mention that 20+ years after my injury (and recovery) the results have stuck: I can still play the sports I want, hit the gym 5 days a week and get out of bed in the morning without sounding like a zombie. Not bad for kicking 50’s door down, right? But back to that moment I started feeling like a human again. Because in that moment I had a flash of clarity, and realized that more than wanting the education from my mentor, I wanted it because I wanted to dedicate my life to assisting others that needed help in the same way I needed it. To this day I get amazing fulfillment every time one of my clients reaches their goals, walks without a cane, break records in their sport or avoids unnecessary surgery. My heart bursts when someone is allowed a life unhindered by physical limitations, like the ones I thought I had to live with for the rest of my life. Regardless of your reason behind seeking treatment, I will always do my very best to help you. I am honored to be a part of your healthcare team and I look forward to meeting you soon! We as a society have become reliant upon a medical system that does not have our best interest at its core. Pills and scalpels, while they are necessary in many cases, have become the tools for every treatment. And as the old adage goes: An ounce of prevention is worth a pound of cure. 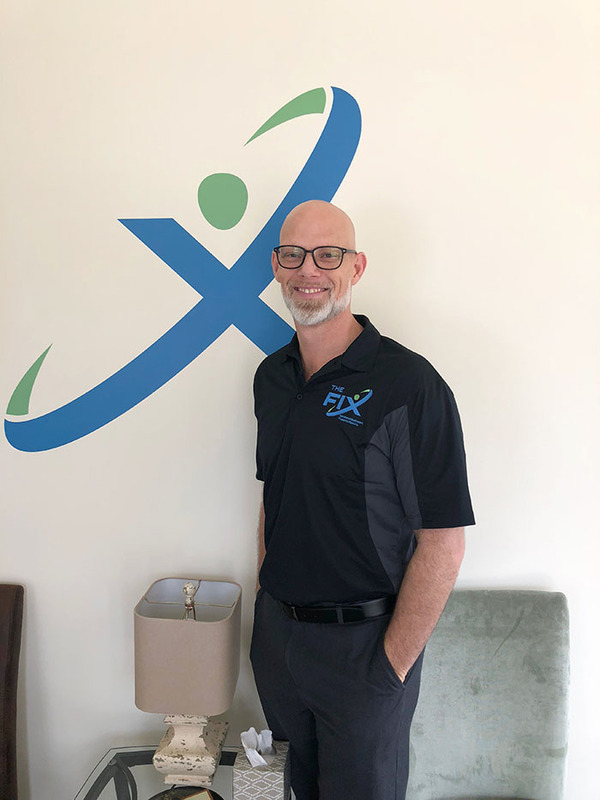 Here at The FIX, we look for ways to encourage prevention and educate you on how to use your body in more powerful and self-sustaining ways so that less pills and scalpels are needed in your life. We use state of the art technology and science based massage/bodywork techniques to reduce swelling, minimize pain, and enhance your body's natural healing abilities. All so you can get back to what you love to do faster and with less pain. Massage/Bodywork, Cryogenic therapies, compressive wrap systems and micro-current technologies have all been scientifically proven to reduce surgical recovery times, improve blood and nerve flow and lower the risk of future injuries. What does a session with The FIX look like? Your first session will be to gather information, listen to what you feel you need most and answer any questions you might have. Then we get you on the treatment table and using manual therapy techniques we search for the root cause of your issues. Where you feel pain may not always be where the pain is originating. Are there bones out of position? Are there muscles that aren’t “firing” properly? Are your connective tissues just tight or glued together? All of these things can be corrected using our proprietary and unique form of manual therapy. After your session you will get to use our cryogenic wraps, compression wraps and/or micro-current terminals to reduce any left over tension or inflammation. 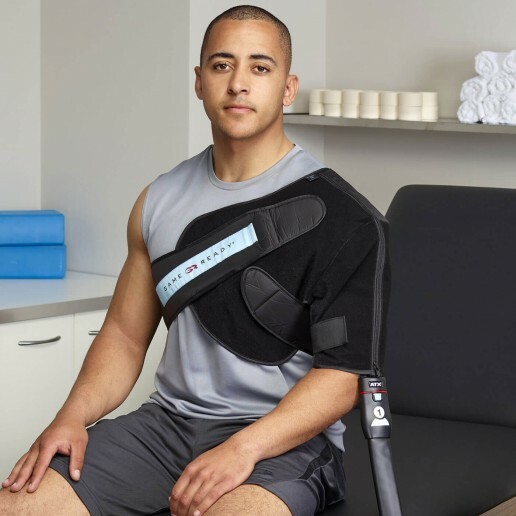 These systems are proven cold and compression therapies in a revolutionary treatment system that sets a new standard of care in injury and post-operative recovery. These technologies are helping more and more athletes and patients to come back faster after an injury or surgery. Your therapists will [probably give you body awareness tips or strength/stretch ideas to help you keep the results you obtain in your sessions with us. These home”play” (sounds better than homework, right?) exercises are integral in keeping you aware of your posture and how you use your body in daily life. Sign up now to receive The FIX updates, and tips to improve your physical health and performance.